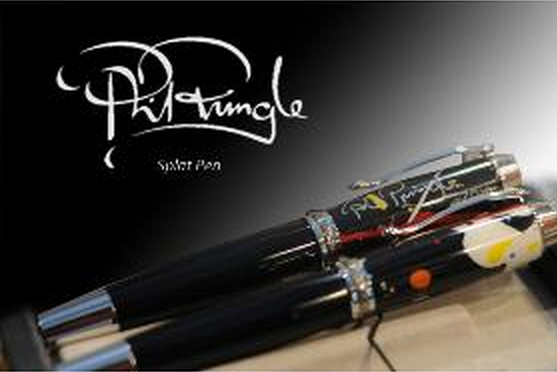 Want to buy Phil Pringle’s ‘anointed’ Splat Pen? Did you want to buy Phil Pringle’s super cheap anointed splat pen? This is not a joke. This could have been yours for A$550.00. This product is no longer sold. Featuring signed original artwork by Phil Pringle from his ‘Life Begins’ collection, each individual writing instrument is meticulously hand-crafted and unique. Vibrant works by Phil Pringle wrap each Splat Pen before it is coated, set in resin and finally turned, polished and waxed for the highest quality finish. Complete with a genuine leather pouch, the Splat Pen brings class and creativity to every occasion. Inspired by the possibilities of new life and the intricate beauty of nature, enjoy the experience of making your mark with your own Splat Pen. The fountain pen features a top quality German-made two-tone nib with a genuine iridium point for smooth lines and dependable ink flow. The roller-ball has a ceramic tipped Schmidt cartridge for effortless scribing. Hand-made with the highest quality components, each Splat Pen features rich 22k gold or Black Titanium hand-cast engraved cap and barrel insets, surrounded by brilliant Rhodium plating. The stunning blend of art, insets and accent bands combine to make this distinct pen of unrivalled beauty – a contemporary version of the traditional fine desk pen. 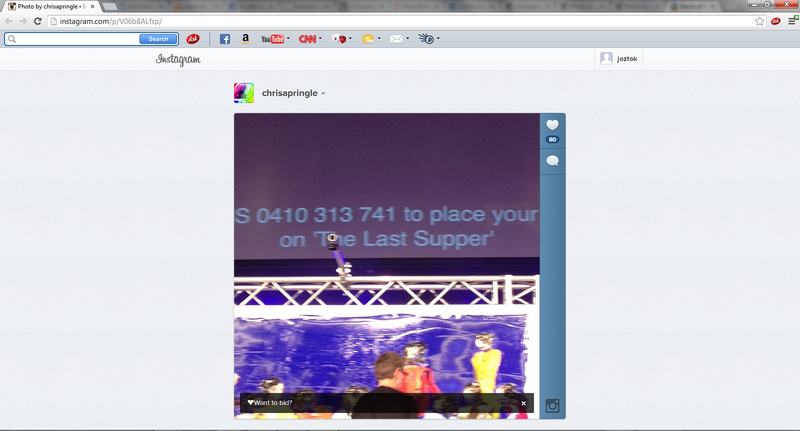 C3 Brisbane Encouraged To Bid On The Lord’s Supper ….. And The Pastors Pants? 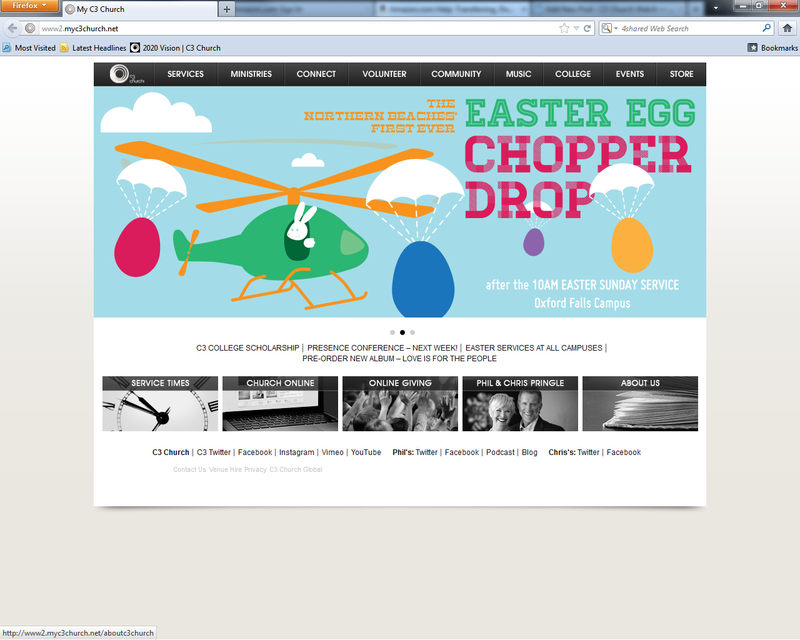 C3 Church Watch has been notified of a rather peculiar incident in the C3 Movement. When a pastor takes the pulpit or stage, what do you think the pastor is required to do? The answer to that question can be read here. 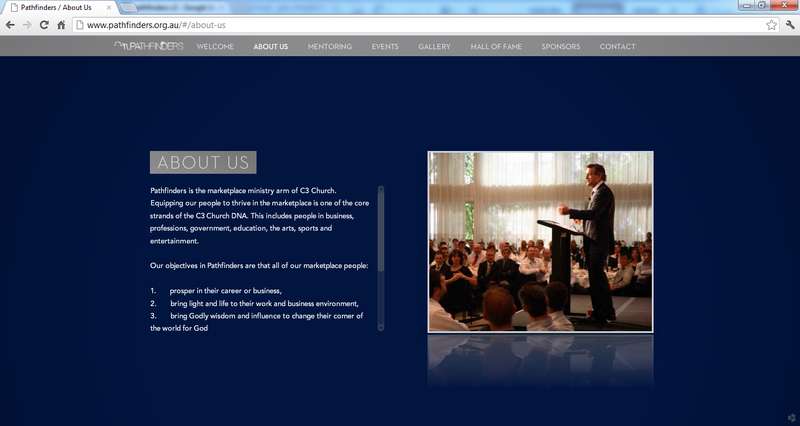 Do C3, CHC & Hillsong Churches Know What The Role Of A Pastor Is? Sometimes when a person jokes about the church their comments can come true. 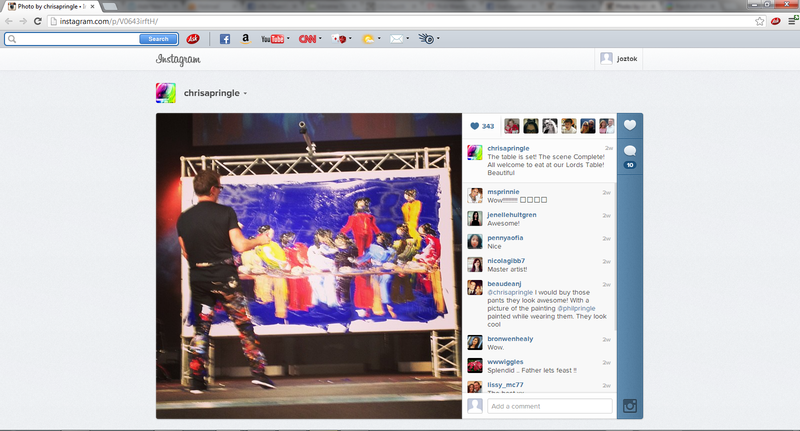 Pastrix Chris Pringle recently informed her followers that her husband Phil Pringle, was painting, “the last supper – live @ C3Brisbane”. While he was splattering away, the screens asked members to place their bids on his painting. While Chris Pringle uploaded the photos to show off her husband and encourage people to bid, someone commented they “would buy those pants” that Pringle was wearing. 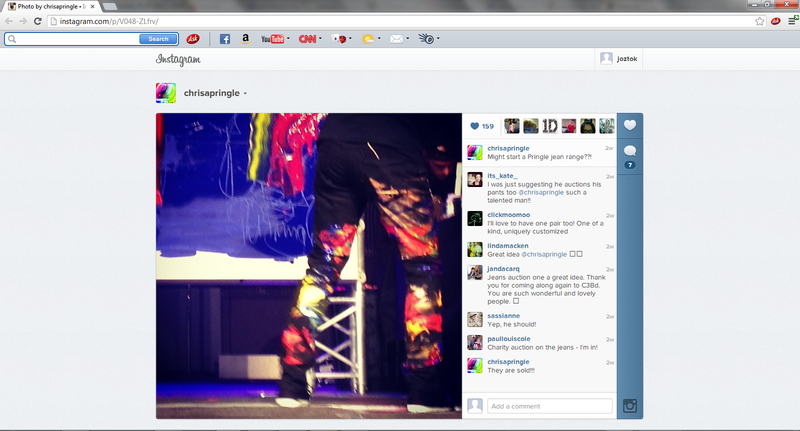 Pastrix Chris Pringle decided to take a photo of her husbands booty and upload it to instagram saying, “Might start a Pringle jean range”. 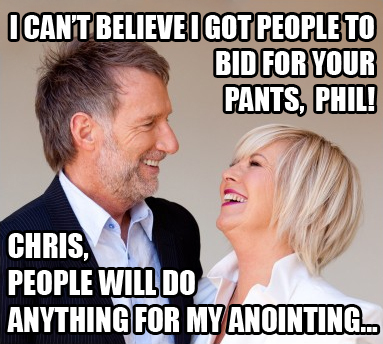 People continued to comment that they wanted to buy Pringle’s pants… Chris Pringle informing her C3 Brisbane audience that the jeans were sold. If this was all done in jest than we would have thought twice about writing an article on this. The fact that Chris Pringle and the commentors appear serious about buying a ‘pastors’ pants is rather absurd behaviour to say the least. We now wish to inform you of a group called Pathfinders. “Pathfinders is the marketplace ministry arm of C3 Church. Equipping our people to thrive in the marketplace is one of the core strands of the C3 Church DNA. This includes people in business, professions, government, education, the arts, sports and entertainment. Terrence: “Ooo we like that. So it’s building people up so they can go and make a difference in the community and also in church in their business. Yeah? Tyndale: “Well we would encourage everybody in the C3 movement to have a Pathfinders group; a Pathfinders program. And Pastor Phil in fact laid out a program where each pastor who doesn’t yet have a Pathfinders could- should start a business connect group. Start a connect group of business people and really speak into their worlds. Just as a start. And let that kick it off and roll. We have a whole series of programs we’d be very pleased to share. So anybody who’s actually out there in the world watching this, we’d be delighted to share with other churches and really roll the programs out throughout the network.” . . . So what’s this got to do with Kong Hee? 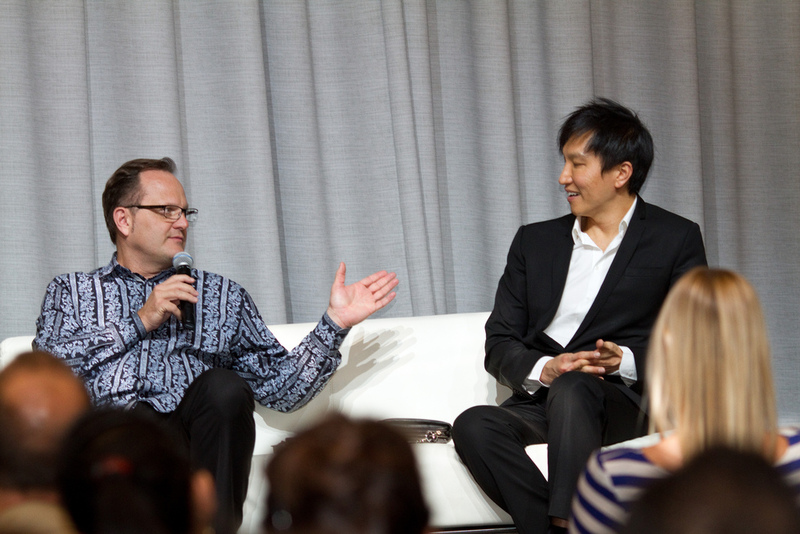 Here is a photo of Kong Hee with guest speaker Marcos Witt in Presence Conference 2011. It seems innocent enough. Until the photographer takes another photo further back. This time Phil Pringle is with the other two. What was talked about? We don’t know. Going on what Tyndale stated above, there is a good chance Kong Hee would have talked about peoples “success skills and empowerment for their job, their career… and to make a difference in their world.” If this is true then readers need to be concerned that C3 is targeting “people in business, professions, government.” Especially since The Hon. Andrew Stoner MP (Minister for Trade and Investment), is involved with C3 and their Presence Conferences. Pringle’s behaviour from the beginning of Kong Hee’s investigations to now raises some hairy questions. If Stoner attended the Pathfinders meeting(s), did Pringle honestly inform Stoner the current status of Kong Hee? Because we don’t know what was said at the Pathfinders event at Presence, did Pringle state the current circumstances about Kong Hee honestly to those attending? 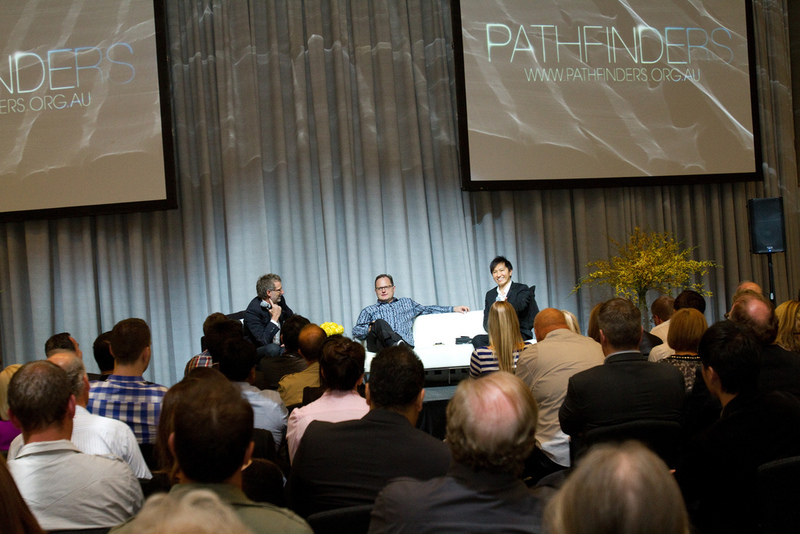 But did Kong Hee speak at Pathfinders in Presence Conference 2010? 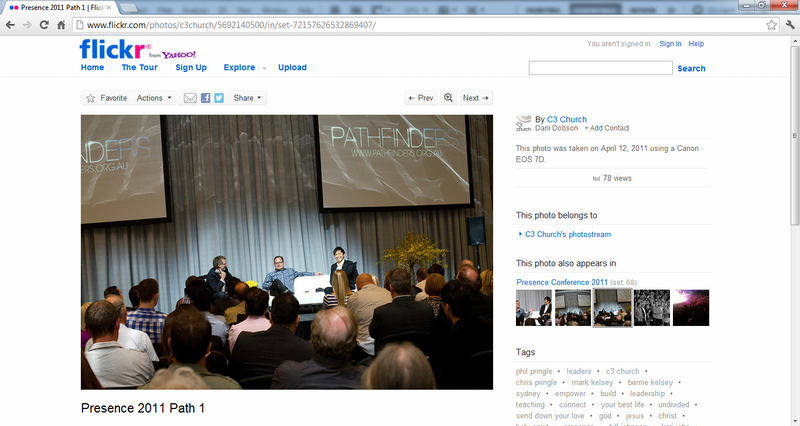 Did Kong Hee speak at Pathfinders in Presence Conference 2012? Did Pringle honestly give people the facts then at these events if Kong Hee spoke? Is it possible that people in the Australian government were not aware that Pringle invited a man that was under investigation by Singaporeon authorities for the possible mishandling of about fifty million dollars? NOTE: ALL SCREEN GRABS WERE TAKEN ON THE 28/08/2012. Before reading a CHC article on Pringle, we would like to point out how scheming Pringle is when it comes to approaching Sunday services. 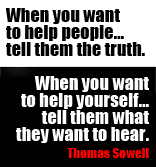 He is totally aware on how to control people and say what they want to hear to get what he wants. By now, it should be clear that Phil Pringle comes across as a manipulative soothsayer, that will do whatever he can to get what he wants. CHC members should listen to the critique of the video above. They should be disgusted how badly Pringle manipulates people into giving their hard earned cash to their ‘Elijah’. They should be considered that Pringle unashamedly targets peoples wallets whether they are desperately poor or rich. Also, who can forget how Pringle teaches how to manipulate people into giving money and conforming to his methodologies? Th best way to describe how Pringle treats the grace of God is ‘repugnant’. Repugnant can mean, ‘distasteful, objectionable, or offensive’. Christians should be offended how Pringle abuses the grace of God to manipulate people. In the below article we would like to point people to Pringle’s translation guide, especially how he defines grace and favour as being ‘interchangeable’. He has also taught you can trigger God’s grace in your life when you give money to people. CHC reveals how evil Pringle’s teaching is by saying, “wealth and power are poured out on the people, just as it was poured out on Jesus”. 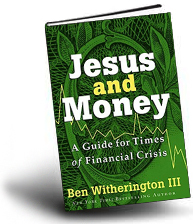 But Jesus was not rich. This is a different Jesus. Phil Pringle taught City Harvest Church members what favor really is and how to live our lives for God as highly favored ones. Originally slated to appear in Amsterdam for the opening of a C3 Church there on Jul. 14 and 15, Pringle, who is also the advisory pastor of City Harvest Church, cancelled his appointment to come and encourage the church during its time of trial. In his message to the church, Pringle proclaimed that the church is highly favored by God. He went on to explain what being a “highly favored one” means. He also encouraged the congregation to dare to “put on” the favor of God in their daily lives. He went on to explain that all the wealth and power are poured out on the people, just as it was poured out on Jesus, when they receive the favor of God through Jesus. And when the church has favor, the presence of God is with them. To illustrate what it means to have favor, Pringle gave the example of how King David looked after Mephibosheth, the grandson of Saul, in 2 Samuel 9. When David wanted to bless Saul’s descendants, he found Mephibosheth, the sole survivor of his family, and showed him favor. Even though Mephibosheth was crippled, David had him carried to the palace and brought to the king’s table to eat with him. On top of that, David restored to him the land that belonged to Saul and gave him Saul’s inheritance. Mephibosheth did nothing to deserve all these things, but David showed him favor. However, being highly favored does not mean that life is problem-free, that people will like you or that everything will work out well. “In fact, you will live in a problem-filled life,” smiled Pringle. Mary, the mother of Jesus, faced great difficulties after the angel appeared before her and proclaimed that she was highly favored by God (Luke 1:28). She could not explain to the people around her or make them believe that her child was from God. “As soon as the angel said to Mary ‘you are highly favored’, the next thing he said was that ‘God is with you’”. Many times this is what God will says to us—He needs to say it because there will come a time when we don’t feel that He is with us at all,” explained the preacher. He went on to remind the church that even though Noah found grace (favor) in the eyes of the Lord (Gen 6:8), he did not manage to make converts out of anyone in the 120 years he spent building the Ark. However, it was because of Noah, the world was saved. Using the example of Joseph, Pringle also taught the church not to be ashamed of having God’s favor. In Genesis 39:21, Joseph put on the coat given by his father even when he knew his brothers will be angry with him. “Joseph was more interested in honoring his father than making his brothers happy. The glory of God is not given for us to reject, but for us to put on,” said Pringle. How To Live A Successful Christian Life? Pringle shared with the church his belief for a successful Christian life: to have Jesus, the Holy Spirit, the Word of God, and finally to be part of a Church. Jesus is the first step into the Christian life; to grow in the Spirit, a Christian needs to be in the Holy Spirit, to pray in tongues. Praying in tongues is the gateway to the supernatural, it helps to build the spirit man within the Christian, which then allow him to build others up. “Don’t be grumblers, or complainers. It’s not difficult to find bad things to say, but it is when we prophesy to the church, we speak strength to the people. The Spirit unifies, so make a choice not to be amongst the complainers and grumblers, but be the one who speak life to others,” taught Pringle. “We need a fresh supply of new oil, to strengthen us, and to empower us. Even the apostles were baptized in the Holy Spirit again and again, and whenever they encountered difficulties and challenges they would cry out to God again,” he reminded the congregation. At the end of the service, Pringle encouraged the members to activate the power within them by speaking in tongues. The thick presence of God fell, refreshing those cried out for fresh oil in their lives. The advisory pastor also took time to prophesy over the church leaders and different individuals to encourage and strengthen their faith. This article will look at the Presence Conference 2012 speaker line-up at the Presence Conference website (Phil Pringle, Steven Furtick, Kong Hee, John Bevere). Consider this article as a platter of resources, that can allow people to look at the speakers themselves. We regret writing so harshly on the speakers. However, the purpose of this article is to warn Christians in love about these men and the dangers of the Presence Conference 2012. Unfortunately, every invited speaker has revealed they are both heretical and dishonest to say the least. 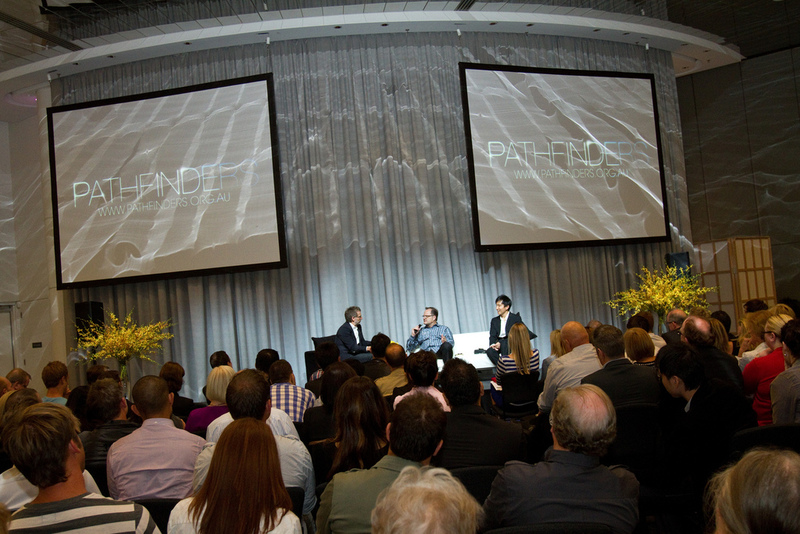 You will never forget a Presence Conference with Phil Pringle. His sessions on miracles, anointing, vision and freedom are life changing. 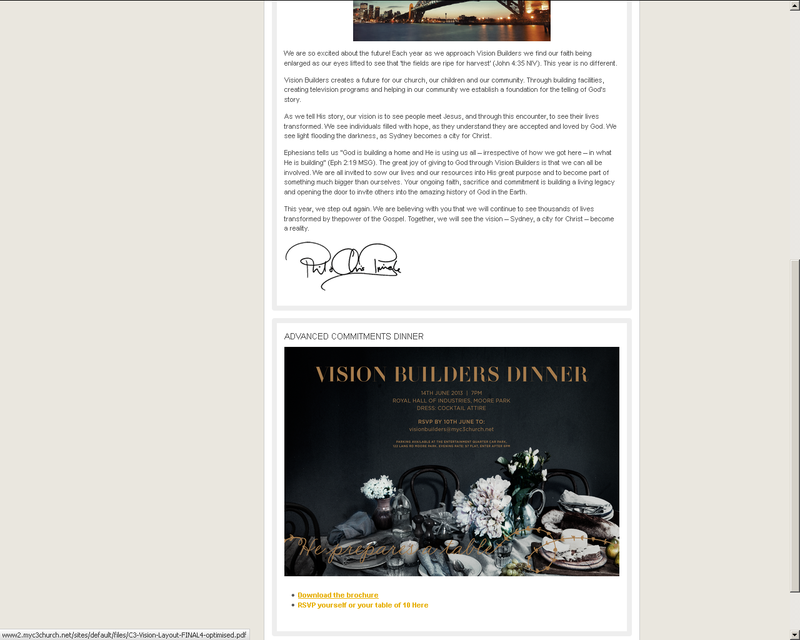 Phil is the author of 10 books, a speaker, television host, successful artist and President of C3 Global, an international network of nearly 400 churches. He is the Senior Minister of one of Australia’s fastest growing churches, C3 Church and he has spent over 30 years pastoring and equiping hundreds of ministers to plant churches around the world. Phil has seen powerful moves of God and the glory of God filling the atmosphere. We have made it clear in the past that Phil Pringle is a prosperity preacher and connected to the heretic Kenneth Copeland. Just like famous heretics Joyce Meyer, Kenneth Hagin, Jess Duplantis, Benny Hinn and Kenneth Copeland (ministers Pringle likes to be associated with), Pringle also teaches that Jesus went to hell and suggests that Jesus lost his divinity on the cross. Pringle also manipulates church statistics and words to convince people he is a legitimate Christian minister and to convince Christians to give him money. He’s also convinced people he has churches that aren’t even part of C3 yet and worse – don’t even exist. He’s made claims that he oversees 1,200 C3 churches or around 500 C3 churches. His website still says he runs 258 churches or oversees around 300. The above blurb says he now has 400 churches. 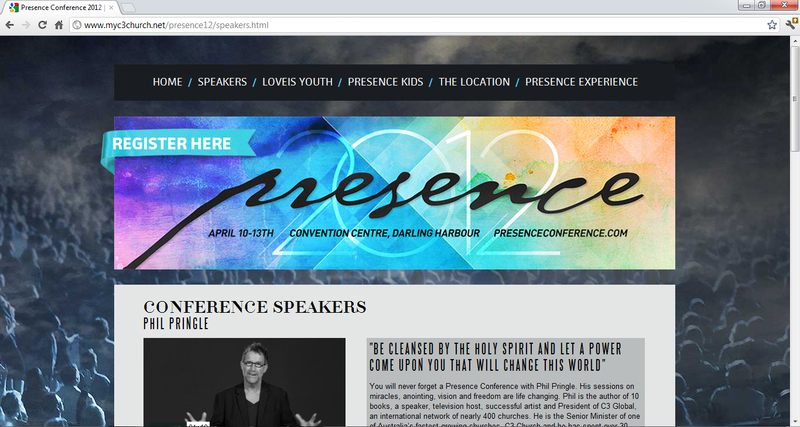 Is Phil Pringle lying to convince anyone to come to his Presence 2012 Conference? You decide. Is Phil Pringle A Deceitful Schemer? We have again and again put forth evidence to clearly show his incompetence in rightly handling the holy scriptures. We have also demonstrated how his teachings and philosophies are similar to New Age / New Thought and occult teachings. Is Phil Pringle Your ‘Elijah’? 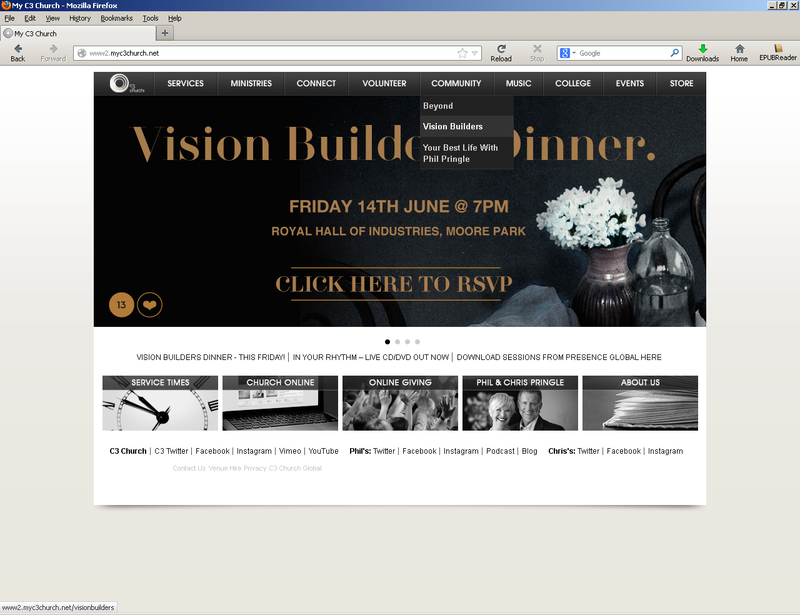 Does Phil Pringle & The C3 Movement Exploit Its Poor Members Financially? … and have observed Pringle using the church as a business tool to sell his paintings and merchandise (more will be written about this). 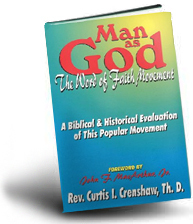 He also reveals his motivation to get other Christians and their churches to join his movement. 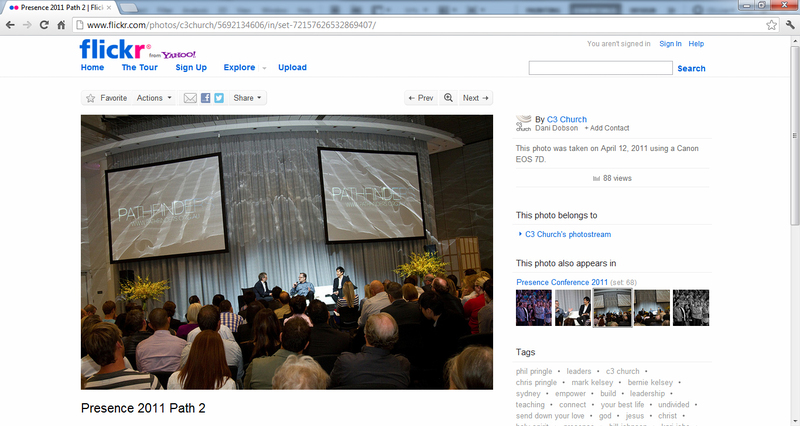 Is Phil Pringle Baiting Christianity With His Presence Conference For His Gain? Finally, we have faithfully demonstrated his ability to twist words and scriptures to convince Christians to BUY their miracles from God at His miracle offerings. You can see that Pringle has schemed people in the past to pay for HIS Presence Conference costs via entry fee and ‘free-will’ miracle offering. And we know that he uses services in a way to get people to give out of their emotions, not their reason. In his own words, Christians must “distrust those who flatter us” as he continually markets and flatters vulnerable Christians be involved in his Presence Conference 2012. One has to wonder not only what he will preach on this year but what type of speakers he has invited to his conference this year. 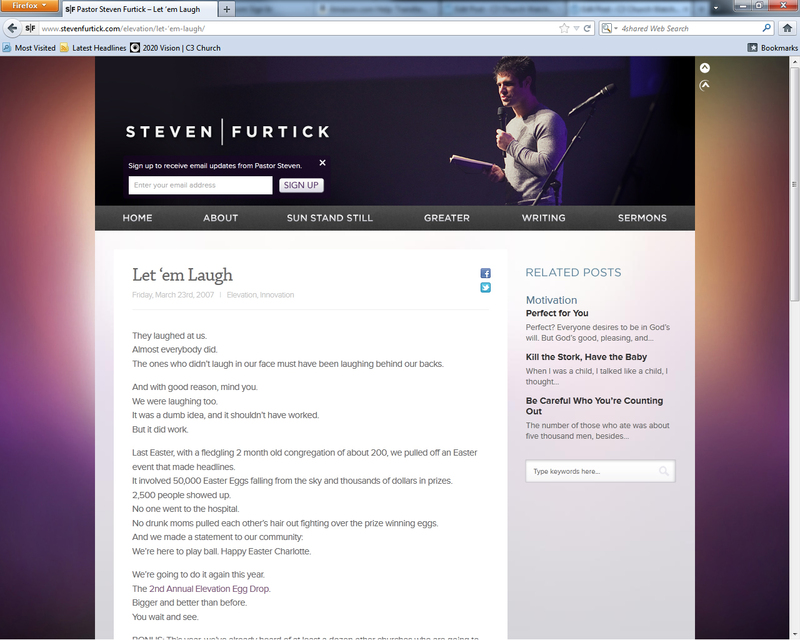 The C3 Website has a photo of Steven Furtick with a quote next to his face. How can Furtick supposedly state “There is a lost, hurting, broken dying, desperate, sorry world without Christ”, when he himself abuses Christians, sensors the gospel and elevates himself to some type of messianic figure? If Steve Furtick is indeed saying this, he needs to explain his track record of bad behaviour and appalling teaching. Why does he openly condemn Christians who want to know Jesus? 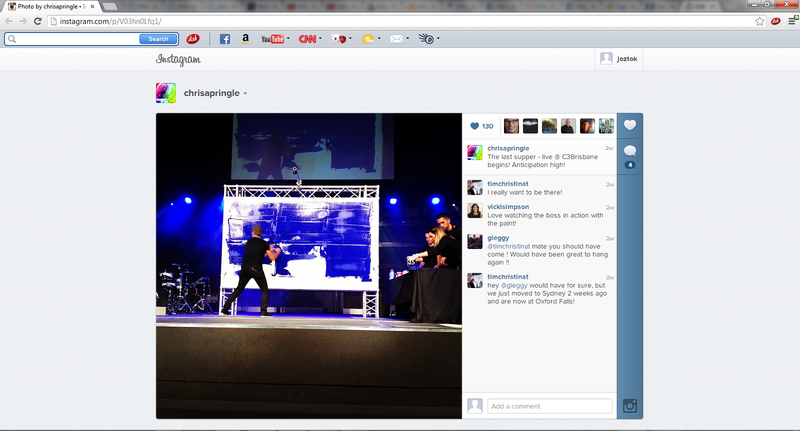 Why did he sensor the gospel at his 2012 Code Orange Revival? 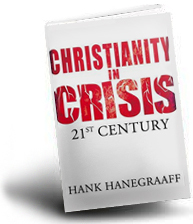 If Christ is so important, then why does he say the church is the answer and not Christ? If the church is the answer, then why does he say that his church is not for people who want to know Jesus? Why was he hostile against the gospel at his revival by sensoring it? If Christ is important at all, why did Furtick cheer Perry Noble on for promoting him as Messiah? It’s disturbing that Phil Pringle is STILL endorsing Steve Furtick to give him the platform to thousands of Australian Christians. Long-term critic of Steve Furtick, Chris Rosebrough has labeled Steve Furtick and Elevation Church a cult. Rosebrough also received a personal letter from a member of Steve Furtick’s Elevation Church. They seem to agree with Rosebrough’s assessmnet of Furtick’s church. Here are some articles that examine the issues in regard to the supposed plagiarised works. As ‘Transitioning’ points out, Kong Hee’s publisher has many loopholes in their explanation and says Kong Hee’s “alleged plagiarism issue is no big deal now compared to the CAD probe into CHC’s financial affairs”. This latter issue still seems to be ongoing, Phil Pringle helping in KH’s effort to support his ministry. In spite of all this, the people Kong Hee endorses are issues themselves (Steve Munsey, John Avanzini, Yonngi Cho, etc). His use of scripture in his sermons are manipulative and misleading at best, sprinkled with heresy, pagan philosophies and vain imaginings. Kong Hee has proven to be a faithful disciple under Pringle’s prophetic direction and is just as ruthless exploiting those in his church that are unemployed like Pringle. 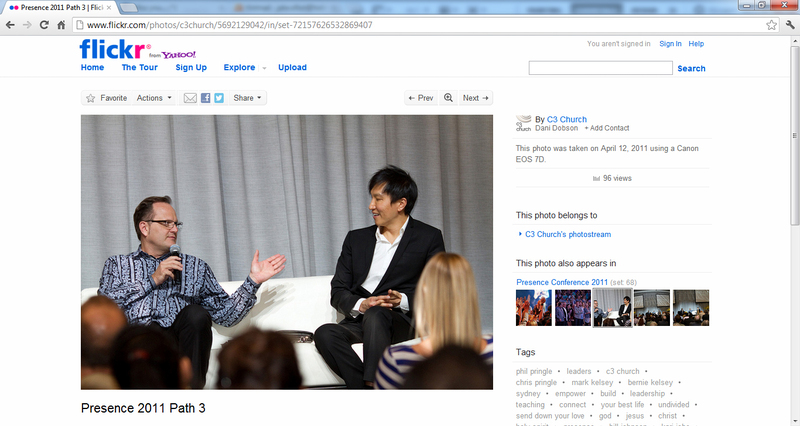 With this background knowledge, why is Phil Pringle inviting the cult-like leader Kong Hee to speak at this years Presence Conference? He is not faithful to scripture, faithful to the church, faithful to the poor or faithful to the community. Hee is continually misrepresenting Jesus for worldly reasons. This brings up an important issue regarding Hee’s wife. Kong Hee loves his wife Sun Hee (and fellow pastor at his church). He has stated to his church that “Sun is my wisdom“. After examining Kong Hee, his wife and his controversial ministry, one must ask: What kind of message will Kong Hee bring to Presence Conference? It’s odd they didn’t mention this ‘grace’ preachers book, “Honor’s Reward: How To Attract God’s Favor And Blessing” (2007). 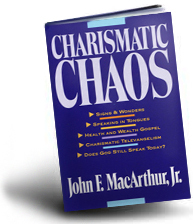 The book title says it all; how can you attract (earn) the favor (grace) of God on your life? It’s odd he says we need men and women who “speak the word of his grace” but promotes the exact opposite in his mentioned book. While it is good to biblically submit to Godly authorities, Bevere confuses it and delivers a burden-binding ‘gospel’ message. 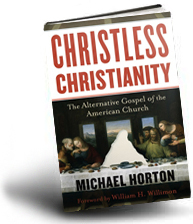 While his book seems to promote a lot of truth, there are concerns that should be bought to light on his false gospel of salvation-by-submission. To preach the message of the gospel is the central mission of the church for all people to hear and know about Christ crucified. If anything contrary is added to the gospel or any truth taken away from it, then one must question the legitimate authority of that teacher, prophet or shepherd. But we can safely say the hidden gnostic principle on ‘honor’, (John Bevere says he has discovered), has made him deviate from the central gospel of salvation. “I didn’t understand the honor principle. I was in the process of learning. Now I want everyone to know!” – John Bevere, Honor’s Reward: How To Attract God’s Favor And Blessing, 2007, pg. 37. “Simply put, the promises of God are not automatic; they must be acquired by faith.” – John Bevere, Honor’s Reward: How To Attract God’s Favor And Blessing, 2007, pg. 102. What else are we meant to gain if Christ has already “blessed us in the heavenly realms with every spiritual blessing” (Eph 1:3)? What else are we to acquire if we are told to “count all things to be loss in view of the surpassing value of knowing Christ Jesus” (Phil 3:8). What are we to gain that we haven’t gained already? 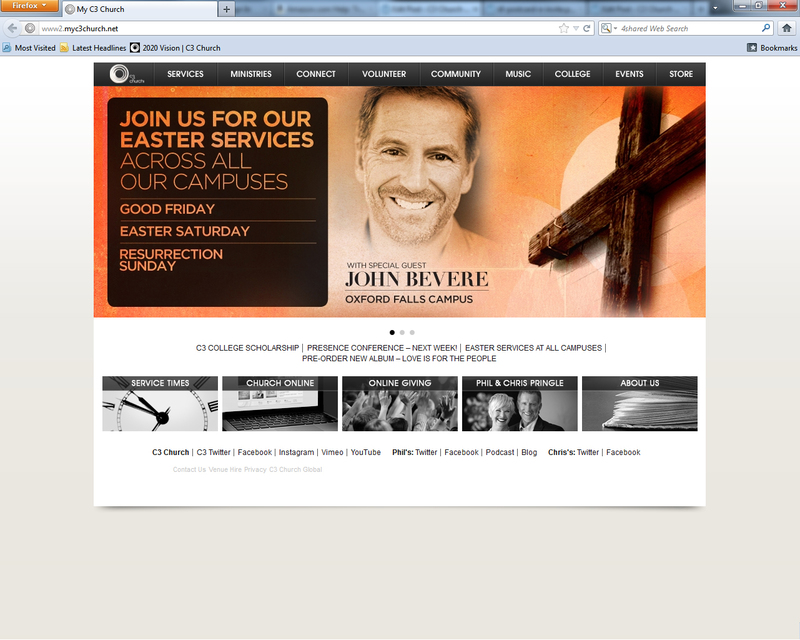 We will see Bevere is promoting himself, his authority and his gospel of works-by-faith. Paul, in imitating Christ’s authoritative nature (Philippians 2:5-11), uses his Godly apostolic authority in this way towards the Thessalonians (emphasis mine). “I learned that day it had nothing to do with me but how I am received as one sent by God. The prisoners valued, honored, esteemed me. The church members said with their body language, “We’ve heard it all. We’ve heard it all. We’ve heard many guest ministers; what do you have to say that’s any different?” The vast difference of results stemmed from one word-honor.” – John Bevere, Honor’s Reward: How To Attract God’s Favor And Blessing, 2007, pg. 38. So Bevere likes to be honored. Like this? “The kingdom of God is not a democracy. So if we relate to God with a democratic mindset we will not connect with Him. We will be without the protection of His authority and can be easily misled. Could this be why Jesus said so many in our generation would be deceived?” – John Bevere, Honor’s Reward: How To Attract God’s Favor And Blessing, 2007, pg. 44. He is saying that the kingdom of God is not characterised by equality. Furthermore, if we relate to God with a mindset of being equal with one another or approach the kingdom of God with a democratic mindset, Bevere says we cannot connect with God. What is the alternative of being democratic that Bevere is insinuating? Dictatorship? Thou-shalt-not-question-me? Has Bevere not read Paul say the following? Bevere is also insinuating that Jesus says that many will be deceived by this faulty democratic thinking in regards to the kingdom of God. No John. 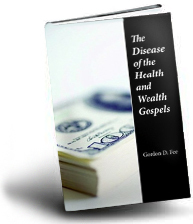 People become deceived by following false teachers, leaders and self-proclaiming prophets (pg. 37) like yourself with your false gospel of works. The gospel saves the simpleton. And Christ is the protector of His disciples (John 17:12) and the guardian and true shepherd of His sheep (Psalm 23, John 10). Those who don’t want Jesus chase after false ministers like yourself. 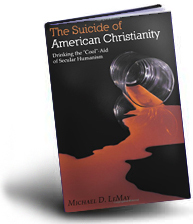 “This Western mind-set is the cause for most church splits in America, and why so many people are resorting to home churches. These professing believers do not want to be under the authority established by Jesus Christ Himself.” – John Bevere, Honor’s Reward: How To Attract God’s Favor And Blessing, 2007, pg. 45. Professing believers? Why is he implying they are not under the authority and lordship of Jesus Himself, or even saved? Why is he alluding to them being the ones causing division? Is Bevere not acting as judge concerning trivial things (Colossians 2). 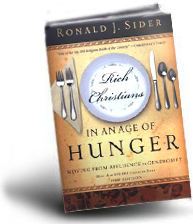 “… you find many believers who have been hurt or offended and are therefore disillusioned with church structure. They’ve resorted to home churches in order to live without accountability.” – John Bevere, Honor’s Reward: How To Attract God’s Favor And Blessing, 2007, pg. 45. “There are three benefits for honoring these [abusive] leaders. First, if treated unfairly, our obedience to submit puts our case in the hands of God who will judge justly (see Pet. 2:21-23). If we take matters into our own hands, God steps back and we are on our own, a miserable place to be.” – John Bevere, Honor’s Reward: How To Attract God’s Favor And Blessing, 2007, pg. 58. “Why are we called to do this? To position ourselves to receive a blessing (reward). So when you are mistreated, especially by someone in authority, you can get very excited because you are being set up for a reward.” – John Bevere, Honor’s Reward: How To Attract God’s Favor And Blessing, 2007, pg. 58. “If you are truly born of the Spirit of God, you will recognize and esteem authority. In fact, show me a person who has no regard for authority and I will show you a person who is not a child of God. It doesn’t matter if he’s prayed the sinner’s prayer and goes to church weekly. He who has no honor in his heart is not saved.” – John Bevere, Honor’s Reward: How To Attract God’s Favor And Blessing, 2007, pg. 46. 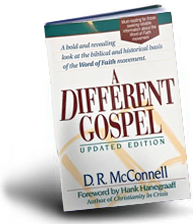 We can conclude that people who suffer from Oppositional Defiance Disorder cannot ever be saved according to Bevere. However we can agree with Bevere on this. “There is only one time-I repeat, one time-the bible tells us not to obey an authority; and that is when authority tells us to sin (do something contrary to the written Word of God.” – John Bevere, Honor’s Reward: How To Attract God’s Favor And Blessing, 2007, pg. 46. The issue now is who’s authority we need to submit too; Bevere’s authority or God’s authority? Is Bevere confused or is he enticing us to sin by following a gospel contrary to the one the Apostles preached? The bible teaches us that Satan is the god of this age and even he has authority. Wouldn’t that make those who come under his authority false prophets? False teachers? Perverters of God’s Word? Many will claim to come with an authority and a message of authority. But who is teaching the true gospel of Jesus Christ? The point we’re trying to make is the same point Paul makes. To imply Bevere wants to see “men and women who will speak the word of his grace” while promoting a different gospel that damns is clearly hypocritical as his ‘honour principle’ is a different gospel (different message). It was Paul that placed an anathema on those who preached a false gospel like the works-based gospel of the false teachers back in the Galatian province. We suggest any reader takes Bevere’s advice and “not… obey [Bevere’s] authority.” How can his authority cannot be from God if Bevere is not honestly representing the God of the bible? Just like Phil Pringle, Steven Furtick and Kong Hee, John Bevere is another dishonest minister speaking into the lives of thousands of Christians at Phil Pringle’s Presence Conference 2012. What does Pringle hope Christians will learn from these speakers? The deception is, Pringle thinks he is blessing local churches. What will this mean for the churches around Australia?